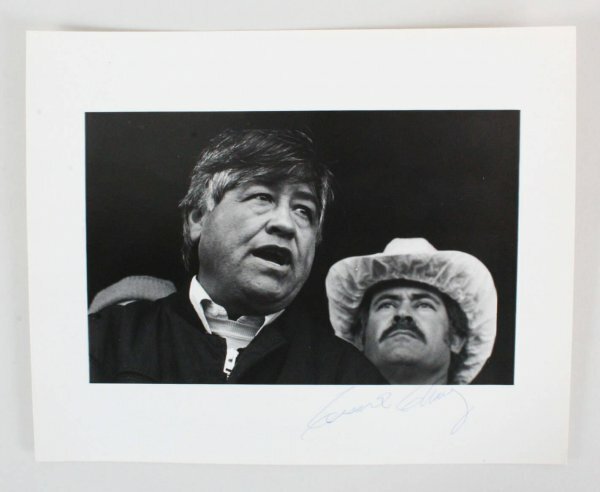 Very rare Cesar Chavez Labor Leader Civil Rights signed photo. This 8 x 10 B&W by Photographer Victor Aleman is a photo of him “Speaking at a rally for farm workers” in Coachella, Ca .1985 Signature signed in blue ballpoint pen and grades 9-10 Authentication: JSA Full Letter. Cesar Chavez (born César Estrada Chávez, locally March 31, 1927 – April 23, 1993) was an American labor leader and civil rights activist who, with Dolores Huerta, co-founded the National Farm Workers Association (later the United Farm Workers union, UFW) in 1962 Originally a Mexican American farm worker, Chavez became the best known Latino American civil rights activist, and was strongly promoted by the American labor movement, which was eager to enroll Hispanic members. His public-relations approach to unionism and aggressive but nonviolent tactics made the farm workers’ struggle a moral cause with nationwide support. By the late 1970s, his tactics had forced growers to recognize the UFW as the bargaining agent for 50,000 field workers in California and Florida. “Immigration” The UFW during Chavez’s tenure was committed to restricting the import of immigrant labor. On a few occasions, concerns that illegal immigrant labor would undermine UFW strike campaigns led to a number of controversial events, which the UFW describes as anti-strikebreaking events, but which have also been interpreted as being anti-immigrant. In 1969, Chavez and members of the UFW marched through the Imperial and Coachella Valleys to the border of Mexico to protest growers’ use of illegal immigrants as strikebreakers. Joining him on the march were Reverend Ralph Abernathy and U.S. Senator Walter Mondale. In its early years, the UFW and Chavez went so far as to report illegal immigrants who served as strikebreaking replacement workers (as well as those who refused to unionize) to the Immigration and Naturalization Service. In 1973, the United Farm Workers set up a “wet line” along the United States-Mexico border to prevent Mexican immigrants from entering the United States illegally and potentially undermining the UFW’s unionization efforts. 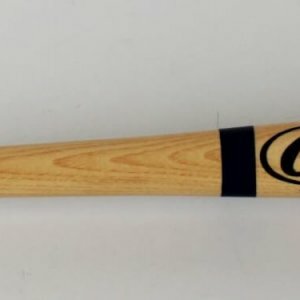 During one such event, in which Chavez was not involved, some UFW members, under the guidance of Chavez’s cousin Manuel, physically attacked the strikebreakers after peaceful attempts to persuade them not to cross the border failed. Background & Dedication of photographer Victor Aleman These photographs are a small fraction of the documentation I made during my working relationship with Cesar Chavez and the United”.Farm Workers of America 1980 1992.